Advances in medical technology provide regular opportunities to explore theological reflection and magisterial teaching at the border of science and conscience. This article reflects on one such advance involving fertility preservation for cancer patients. 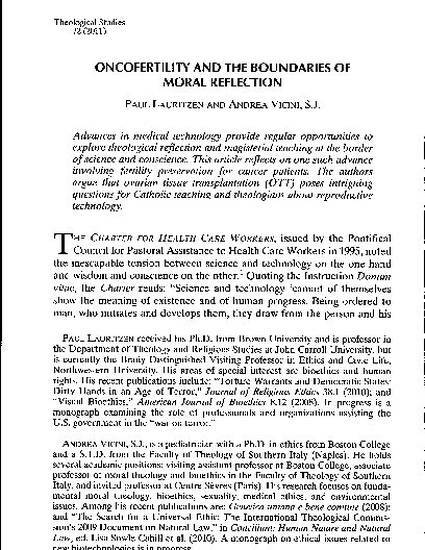 The authors argue that ovarian tissue transplantation (OTT) poses intriguing questions for Catholic teaching and theologians about reproductive technology.